This is now a very popular cigar, due mainly to its unique size (Gordito) and the manner in which it delivers its rich bouquet. 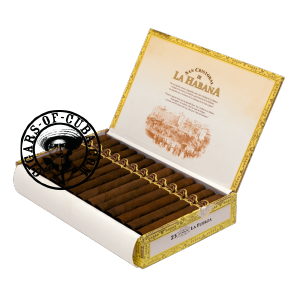 The La Fuerza is a cigar for the connoisseurs, as it is not an easy or straight forward smoke. An experienced palate is needed to steer through this unbalanced mix. Like all the San Cristobal vitoles, the La Fuerza needs time to allow the young blend to blossom. We believe that this is the very best of the whole San Cristobal line.